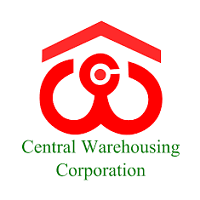 Central Warehousing Corporation Recruitment 2019 – CWC announced 571 posts of Management Trainee, Assistant Engineer, Accountant, Superintendent, Jr. Superintendent, Hindi Translator, Jr. Technical Assistant. The detailed eligibility and application process are given below. Management Trainee (Technical): 1st class Post Graduate degree in Agriculture with Entomology or MicroBiology or Bio-Chemistry OR 1st class Post Graduate in Bio-Chemistry OR Zoology with Entomology from recognized University/ Institution. Accountant: B.Com or BA (Commerce) or Chartered Accountant or Costs and Works Accountants or SAS Accountants of the Indian Audit and Accounts Department with about three years’ experience in Maintaining and auditing of Accounts in Industrial / Commercial / Departmental Undertakings. Superintendent: Post Graduate Degree in any discipline from a recognised University or Institution. Bachelor’s degree with Hindi and English as main subject or either of the two as medium of examination and other as a main subject plus recognised Diploma/Certificate Course in translation from Hindi to English and vice versa or two years’ experience of translation work from Hindi to English and vice versa. All interested and eligible candidates can apply for this position in online from 15 February 2019 to 16 March 2019.